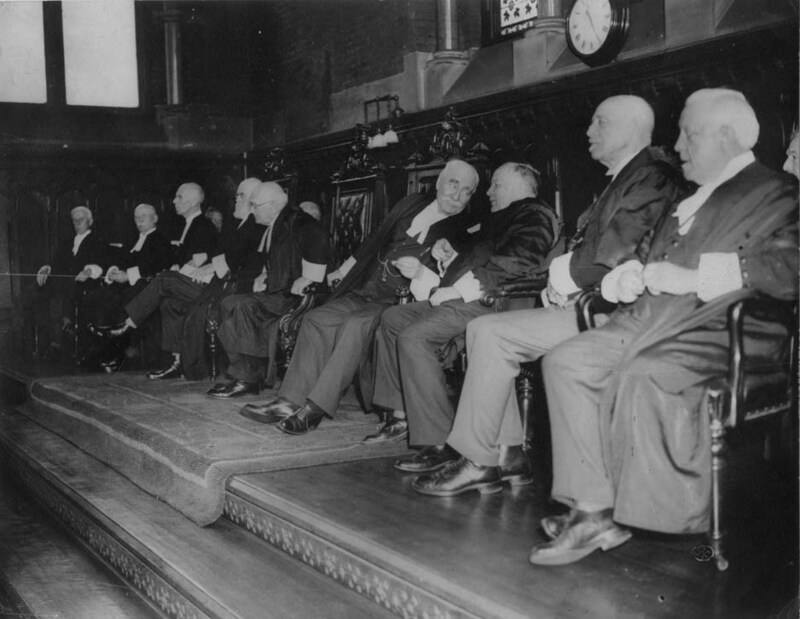 The first Call to the Bar ceremony at which family and friends of candidates were invited, took place in Convocation Hall at Osgoode Hall, Toronto, on June 18th, 1936. Before then, the call to the Bar was an administrative matter that took place privately at a meeting of Convocation (the Law Society’s board of governors). Photograph of call to the Bar in Convocation Hall, June or September 1936. 1936-09-17 Toronto Rt. Hon. Lord Thankerton, P.C.